You work hard to make your yard an inviting outdoor retreat. You fertilize and mow the lawn, you pull those pesky weeds, you plant beautiful annuals, and you maintain your perennials. However, there might be one aspect of caring for your yard that you are overlooking: the trees. While trees are certainly sturdy and they do a pretty good job of caring for themselves, they do need some TLC every now and again. In order to keep them healthy and lush, it’s important to have your trees pruned by a professional company that offers tree services. 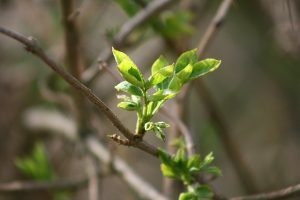 Pruning involves removing specific branches from a tree. 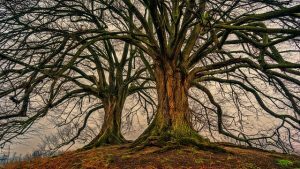 The process provides so many benefits: it strengthens the tree; brings out its natural beauty; gives the tree shape, and it can even prolong the life of the tree. How can you tell if your trees need pruning? Here are 6 signs that indicate it’s time to call a professional. 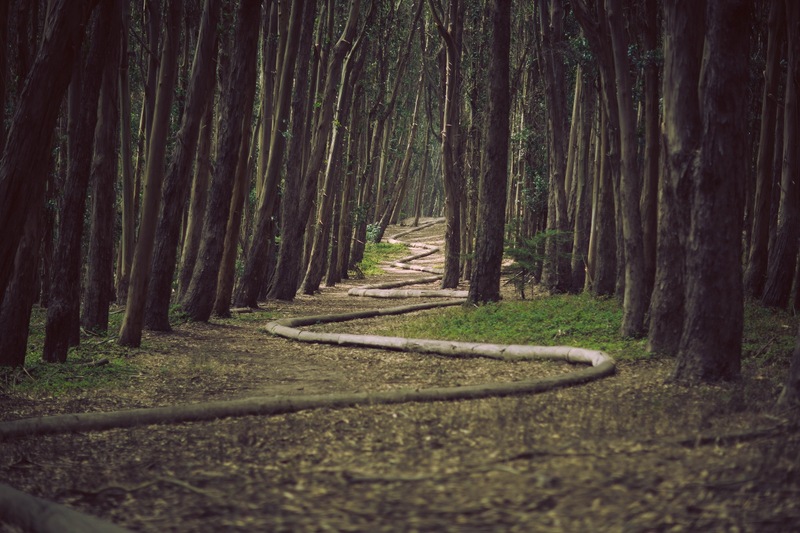 Broken branches that expose the inside of a tree can lead to serious damage. If left hanging there, it can impede the health of the entire structure. Moreover, a dangling tree branch can become a safety hazard. All it takes is a strong wind or the forces of gravity to pull that branch down, where it could potentially land on your home, a vehicle, or even on a person. Inspect your trees regularly; particularly after a storm. If you notice any broken branches, arrange to have a professional pruning. When a tree is left to grow wildly, the branches can eventually cross. Those crossed branches can rub against each other, damage the bark, and expose their insides. 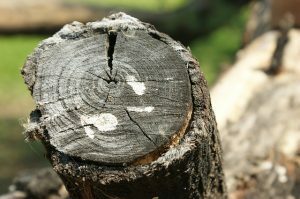 Eventually, the branches can decay, and that decay can spread throughout the rest of the tree and cause extensive damage. If you spot any crossed branches, it’s definitely time for a pruning. The branches of a tree can provide cool and inviting shade, but too much shade isn’t always a good thing. Excessive shade can prevent the entire tree from absorbing the vital nutrients that it gets from the sun. Furthermore, if the tree is located near your house, those dense branches can prevent light from coming in. Additionally, a high density of branches can become a serious hazard, as they are more likely to rub against each other and snap. A good rule of thumb to follow: if the tree branches are so thick that you can’t see through them, it’s time to have it trimmed. Leader branches are the main branches that are connected to the stem of a tree. If a tree has more than one leader branch, they will compete with each other to try and attain dominance. When that happens, the rest of the tree can suffer. Pruning will allow for the selection of a dominant leader branch, which will help to maintain the health of the tree. If it looks like a tree has more than one leader branch or you aren’t sure, contact a professional tree service company. They will inspect the tree to determine if there is more than one leader and if so, they will prune the tree and select a dominant branch. When a tree isn’t pruned, it can grow in a way that isn’t suitable for its structure. 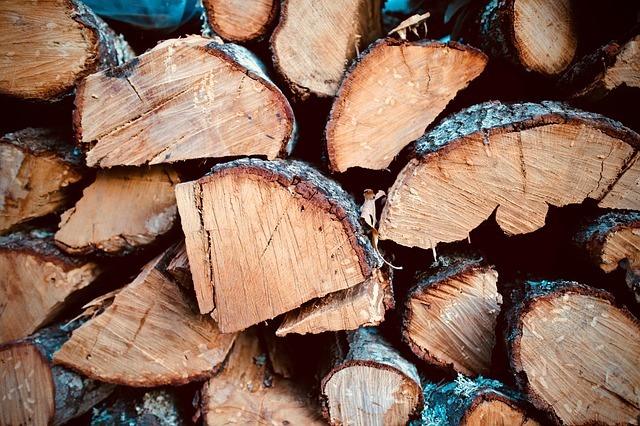 The weight won’t be distributed properly, which can eventually lead to breakage that can damage the rest of the tree – and your property. Plus, misshapen trees aren’t exactly the most visually appealing. When the tree is pruned, the branches can be evened out and given a proper shape. This will strengthen the tree and enhance its beauty. If the branches of a tree are overgrown, they can become a real hazard. If the tree is located near your house, those overgrown branches can rub into the structure and cause extensive damage. If it’s near power lines, they can grow into the lines and potentially knock them down or possibly start a fire. 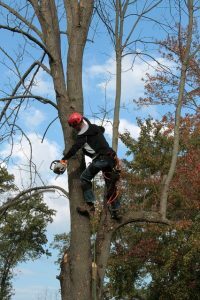 If your tree branches are overgrown, you definitely want to have a professional commack tree service company prune them for you. Another surefire sign that a tree needs to be pruned is the appearance of excessive amounts of deadwood. Just like broken branches, a lot of deadwood can damage the rest of the tree. Deadwood looks just like it sounds: wood that appears to be dead. If you spot deadwood on your trees, you are going to want to have them pruned. If you notice any of these signs, it’s time to hire a professional northport tree service company to prune your trees for you. Doing so will not only improve the appearance of your yard but will increase its safety. If you aren’t sure if your trees need to be pruned, a professional will be able to assess the tree and determine whether or not pruning is a necessity.